You must make reservations at least 5 minutes in advance of the time at The Boathouse at Short Pump. 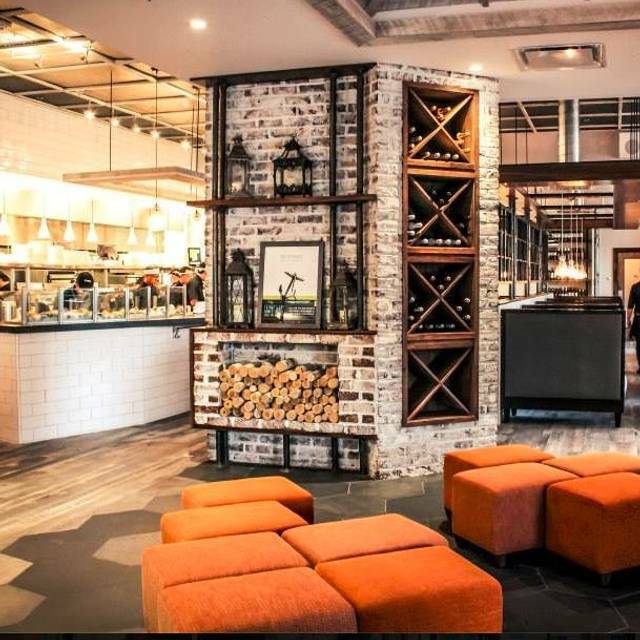 We consider Short Pump our dry dock location, offering the same impeccable service and distinctive experience as our waterfront restaurants only housed in the convenience of Short Pump Town Center. 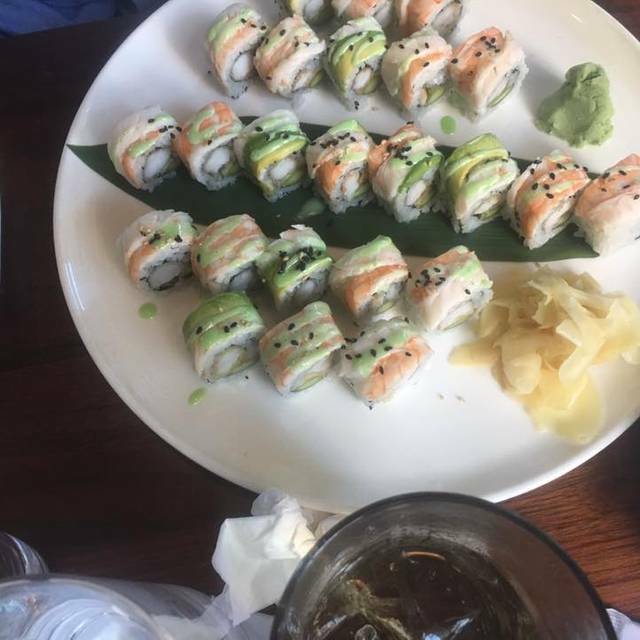 We invite you to take a break from shopping to enjoy some of Richmond’s best sushi as well as other Boathouse locally-sourced favorites. Celebrate with Mom at The Boathouse! Brunch Buffet with traditional favorites from 10am to 3pm. Adult brunch $46, youth 6-12 $18, and children under 6 free. Dinner service with regular dinner menu begins at 5:30pm. Treat Dad to Brunch at The Boathouse! Father's Day Brunch Buffet reservations are available from 10am to 3pm. Adults $46, 6-12-year olds $18, kids under 6 are free. Made a reservation for Saturday lunch. Restaurant was empty other than staff. Our server was knowledgeable and attentive (probably a little too much). Appetizer of calamari was delicious. My chicken was bland. Seasonal vegetable (asparagus) and mashed potato were good. Lunch was in lieu of birthday, and our server wished happy birthday and that was it. No complimentary cookie or anything. 1 appetizer, 2 entrees and soda- $55 (before tip). Overall, ok experience. Not worth coming back. There are better places in the Mall, with tastier food and better value for money. Great place to celebrate a special occasion! Everyone enjoyed their food and drinks! We love celebrating with you! Take care. The Boathouse is our go to when we are at Short Pump. The staff is always friendly and attentive, the bartenders know what we like, and the atmosphere is greats the food is always excellent, great variety and very high quality. Thank you for the positive feedback! Glad to hear our staff takes care of you. So glad you enjoyed your meal! The Boathouse was lovely. The waiter was very attentive and knowledgeable. Several food choices were not available as well as one wine on special. What was ordered was delicious! We apologize for the inconvenience regarding out of stock menu choices but we're happy you still enjoyed your meal. We hope to see you again! Had a great time, I'd do it again! I love the bathhouse! Excellent experience. Our waiter was great, food was great, atmosphere was great! No complaints here. 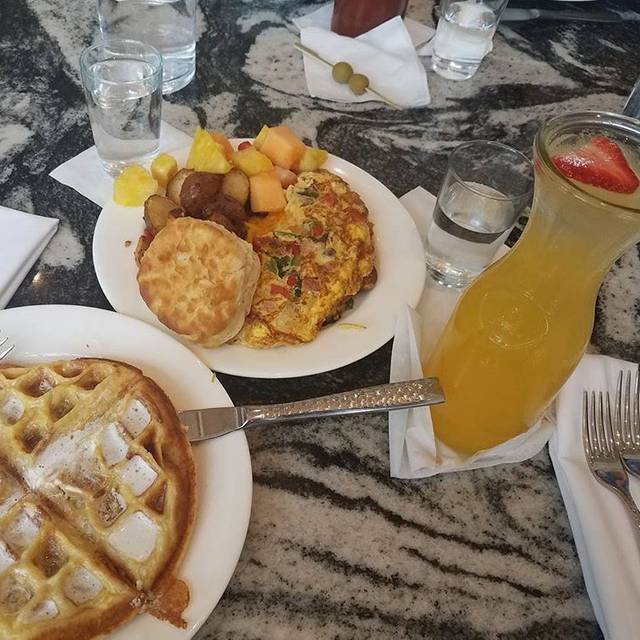 The brunch , service, and overall experience was wonderful! Can’t wait to go back! Glad you had a great experience! Very friendly, great food well prepared and presented. The service was excellent, very attentive. We should have skipped the coffee though. They brought that out as two little french press things. I've had coffee from those and it's basically unfiltered camp coffee. One press even spewed grounds on the table. We thought paying $10 for coffee you can chew was a bit steep. It was good for laughs though. The waitress, Jasmine was excellent, and we thoroughly enjoyed our dinner. We appreciate your honest feedback, and thank you for being a good sport! Glad the food and service were great. Take care. My only complaint is the portions were too small. 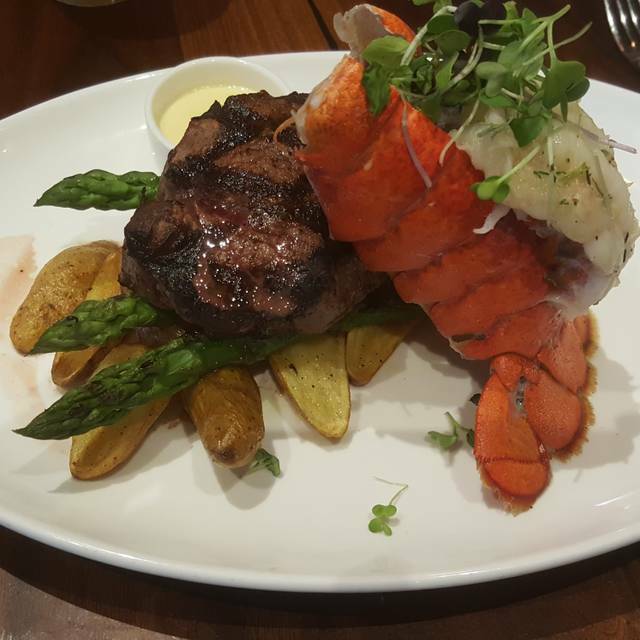 It all tasted fantastic and service was excellent. Just need a bit more food. We appreciate your feedback! Glad you enjoyed your meal, take care. The oysters and cocktails were amazing! See you at happy hour! Food wasn’t very good for the price. Server was awesome. My wife and I were enjoying an evening out together looking for a new seafood restaurant to attend to and we chose this location based on quality reviews on other websites. It's a nice location with nice large tables and quality seating. Our server was Tim and he was amazing, very professional and efficient ....everything you would want. I ordered a bowl of clam chowder which was probably the best bowl of clam chowder I've ever had but that's where it ended as we ordered the most expensive thing on the menu which was the chilled Seafood tray. The menu states that it serves four but I am not too sure if that meant four children or four people who aren't very hungry because we went through that pretty quickly and was then disappointed at the $90 price point. The top half of a lobster was not edible although most of it isn't but usually there are areas to get into this was not the case. Small tail small claws. We were literally looking for a place to spend good money to get some serious Seafood and this being the highlight of their menu we decided not to try anything beyond that considering our bill plus tip at that point was nearly 125. It's not the server's fault that the food wasnt top notch. Its a great place for lunch or dinner. 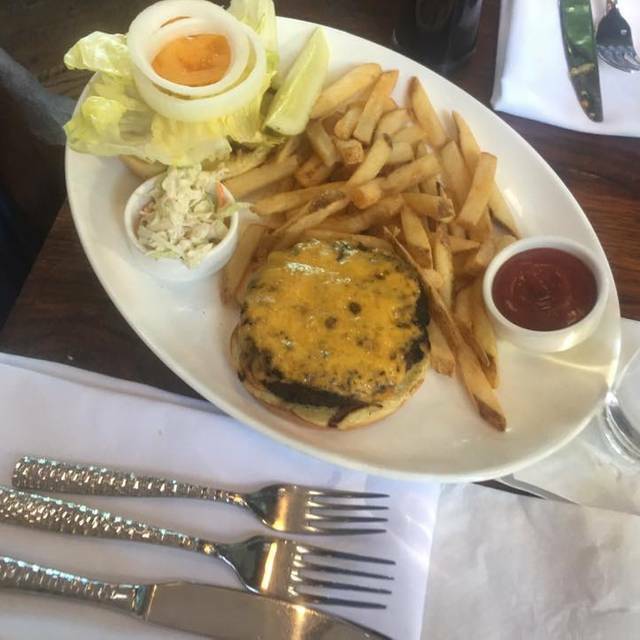 The portions are moderately sized, the prices are fair-this location is more upscale. The food is absolutely scrumptious. Diversity of choices. It can be crowded depending on the time you go. If the temperature is pleasant the huge windows are open to the outside, adding to the ambience. The staff is cool and laid back, no problems there. Just a solid experience here! We appreciate your review, Steve. Hope to see you again soon. The staff was amazing and the food was even better. This is a more expensive restaurant, and the portions of food is small, which is why this didn't get all outstandings. Beyond that the food was amazing, crab artichoke dip rocked my world. I don't like asparagus in general but here it was amazing. We went here because it was a team outing and everyone really enjoyed the food. We're glad everyone enjoyed their meal! Thanks for your feedback, take care. Glad you enjoyed your special day! Hello, happy to hear you enjoyed the fresh catch of the day! We appreciate your feedback regarding the seating. Waffle station and omelet station were poorly organized leading to prolonged wait times for food. These delays caused our table to get ordered food delivered long before these stations provided the made to order plates. To prevent the food from getting cold, half the table was done with their meal before the rest of us even sat down to eat. In addition, these stations were right at the entrance doors that caused congestion and confusion. Very overpriced for a very mediocre meal and service. Thank you for taking the time to write a review. We appreciate your feedback on the set up and location of the omelet and waffle bar. Went here for dinner for the first time with some friends, after having tried both the other boathouse locations over the years. I think we all agreed that this location's food was a little better than what we had eaten at Rocketts or Sunday Park. But I do like those two restaurants also. My wife had the grilled shirmp, and I had the fried seafood combo. Hers was really good, and the shrimp and crab cake in mine were both excellent. We had the jalapeno hushpuppies, which are good also. They have a good selection of draft beer, and the restaurant itself is very nice inside. Thanks for your review! We're glad to hear you enjoyed your meal. The only problem with The Boathouse at Short Pump was finding it. If you aren't familiar with the mall getting to it is not easy. The ambiance was quite comfortable and the service was above average. Our waitress was knowledgeable about the menu items and was delightful. 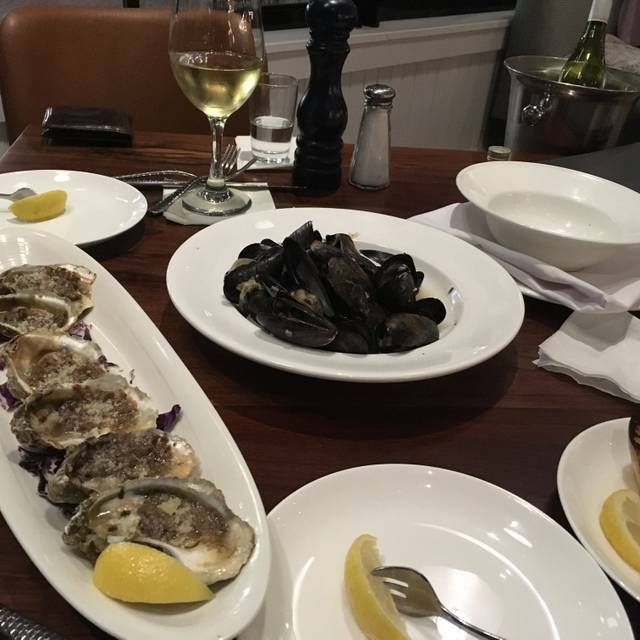 The Boathouse is great for a date night or for a group evening. Hopefully the noise level from my group of eight was acceptable and did not disturb any other diners. Hi Doris, we're glad you received above average service! We apologize for the confusion while trying to find our building- we recommend giving our host team a call to assist with directions- hope this helps. Take care! We waited for our starter, never received it. 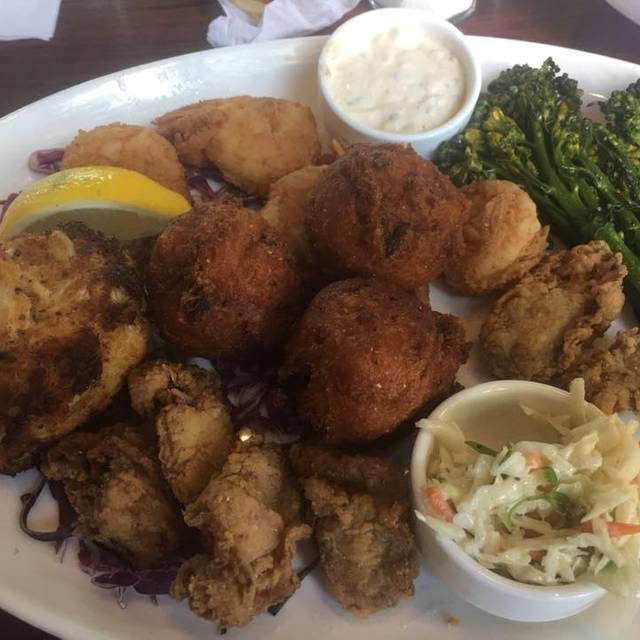 Finally got our meal after waiting about 30 minutes, and I had to call the waiter back because my crabcakes was not on my seafood platter. I called the waiter and he said,' oh I thought you ate it already. I am a frequent guest at numerous Boathouse restaurants and this by far is the worst service I have had. Thank you for taking the time to write a review. We're sorry that you had disappointing service. Your comments have been shared with the management team. We appreciate your feedback. Birthday celebration for our adult daughter and everyone thoroughly enjoyed ourselves. Food was well prepared and served at the right temperatures and our server was excellent! Always one of our "go to places"! Thanks for being a returning guest with us! Glad to hear your daughter's birthday was a success. See you soon! Outstanding meal. 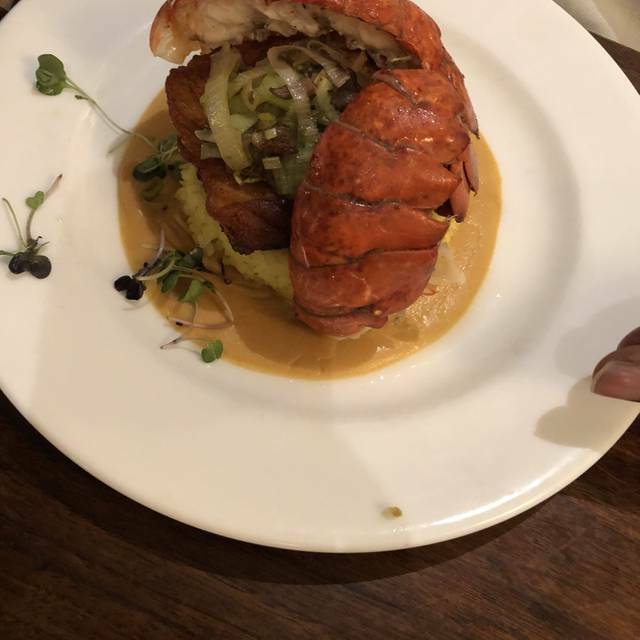 From the cocktails to the raw oysters to the crab stuffed lobster to the coffee and bread pudding everything was spot on perfect. Wow! Thank you for the detailed review, so glad that you enjoyed every course of your meal. Take care! Our server,Helen was fantastic. She had a genuine smile and was very attentive. All said their meals were great. Glad to hear your birthday was a hit! The food was amazing and the service was top notch love the location. After a long day of shopping with the wife it was a wonderful spot to relax and enjoy a well prepared meal. We love celebrating special occasions with our guests. Glad we provided a place for you to relax and unwind with your loved one. We were there to celebrate our daughter’s 16th birthday. Food was flavorless. Lobster roll was a ripoff-completely covered up the seafood with far too much mayo. And they completely forgot my meal. All the rest of our table finished their entire meals and my salmon was brought out. It was raw in the middle-even after all that time. They did take my entree off the bill-considering it was forgotten and inedible, that was the bare minimum that should have happened. Use to love this place, but won’t waste my time nor money here again. Over a $200 bill and this was handled very poorly. Thank you for your review. We hope to have you back again soon. Thank you for choosing to celebrate such a special day with us! Business dinner. Excellent location and food. Great atmosphere, especially in nice weather. My family took me to The Boathouse for my birthday and to try the Sunday Brunch. Our waitress was excellent, seeing to our every need. The menu had so many good choices, I had a hard time making up my mind. We were seated by a window, which was very nice. It is hard to hear at times as it is kind of loud in the restaurant. Overall, it was a lovely brunch! Hi Ruth, happy belated birthday! We hope you were satisfied with your brunch choice. Glad to hear you enjoyed your view as well. We hope to see you again soon. Came here for my 30th birthday dinner and everything was excellent. Thank you for choosing us for your special occasion! Everything was perfect from seating, service, and food. One of the most enjoyable dinners we have had! Wow! Thank you for naming us one of the most enjoyable dinners you've ever had! We can't wait to see you again. My crab cake sandwich was very delicious. Our waitress, Ieyanna, was very friendly and attentive. 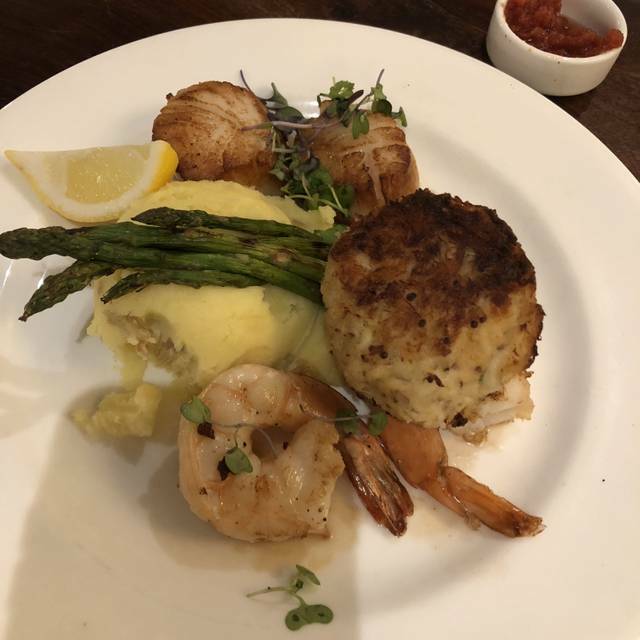 Crab cakes are our specialty, glad to hear you enjoyed them, and that Leyanna took great care of you. Hope to have you back again. Risotto was delicious. Service was great. Will go back. Thank you for the review, see you soon!